The Archaic Revival, Food of the Gods, The Invisible Landscape, Psilocybin Magic Mushroom Grower's Guide, True Hallucinations. McKenna formulated a concept about the nature of time based on fractal patterns he claimed to have discovered in the I Ching, which he called novelty theory, proposing this predicted the end of time, and a transition of consciousness in the year 2012. His promotion of novelty theory and its connection to the Maya calendar is credited as one of the factors leading to the widespread beliefs about 2012 eschatology. Novelty theory is considered pseudoscience. McKenna developed a hobby of fossil-hunting in his youth and from this he acquired a deep scientific appreciation of nature. He also became interested in psychology at a young age, reading Carl Jung's book Psychology and Alchemy at the age of 10. This was the same age McKenna first became aware of magic mushrooms, when reading an essay titled "Seeking the Magic Mushroom" which appeared in the May 13, 1957 edition of LIFE magazine. At age 16 McKenna moved to Los Altos, California to live with family friends for a year. He finished high school in Lancaster, California. In 1963, he was introduced to the literary world of psychedelics through The Doors of Perception and Heaven and Hell by Aldous Huxley and certain issues of The Village Voice which published articles on psychedelics. In 1965, McKenna enrolled in the University of California, Berkeley and was accepted into the Tussman Experimental College. In 1967, while in college, he discovered and began studying shamanism through the study of Tibetan folk religion. That same year, which he called his "opium and kabbala phase" he traveled to Jerusalem, where he met Kathleen Harrison, an ethnobotanist who would later become his wife. After the partial completion of his studies, and his mother's death from cancer in 1971, McKenna, his brother Dennis, and three friends traveled to the Colombian Amazon in search of oo-koo-hé, a plant preparation containing dimethyltryptamine (DMT). Instead of oo-koo-hé they found fields full of gigantic Psilocybe cubensis mushrooms, which became the new focus of the expedition. In La Chorrera, at the urging of his brother, McKenna was the subject of a psychedelic experiment in which the brothers attempted to bond harmine (harmine is another psychedelic compound they used synergistically with the mushrooms) with their own neural DNA, through the use of a set specific vocal techniques. They hypothesised this would give them access to the collective memory of the human species, and would manifest the alchemists' Philosopher's Stone which they viewed as a "hyperdimensional union of spirit and matter". McKenna claimed the experiment put him in contact with "Logos": an informative, divine voice he believed was universal to visionary religious experience. McKenna also often referred to the voice as "the mushroom", and "the teaching voice" amongst other names. The voice's reputed revelations and his brother's simultaneous peculiar psychedelic experience prompted him to explore the structure of an early form of the I Ching, which led to his "Novelty Theory". During their stay in the Amazon, McKenna also became romantically involved with his interpreter, Ev. McKenna, along with his brother Dennis, developed a technique for cultivating psilocybin mushrooms using spores they brought to America from the Amazon. In 1976, the brothers published what they had learned in a book entitled Psilocybin: Magic Mushroom Grower's Guide, under the pseudonyms "O.T. Oss" and "O.N. Oeric". McKenna and his brother were the first to come up with a reliable method for cultivating psilocybin mushrooms at home. As ethnobiologist Jonathan Ott explains, "[the] authors adapted San Antonio's technique (for producing edible mushrooms by casing mycelial cultures on a rye grain substrate; San Antonio 1971) to the production of Psilocybe [Stropharia] cubensis. The new technique involved the use of ordinary kitchen implements, and for the first time the layperson was able to produce a potent entheogen in his [or her] own home, without access to sophisticated technology, equipment, or chemical supplies." 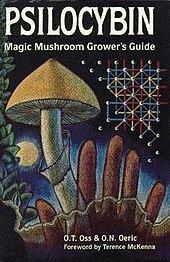 When the 1986 revised edition was published, the Magic Mushroom Grower's Guide had sold over 100,000 copies. It's clearly a crisis of two things: of consciousness and conditioning. These are the two things that the psychedelics attack. We have the technological power, the engineering skills to save our planet, to cure disease, to feed the hungry, to end war; But we lack the intellectual vision, the ability to change our minds. We must decondition ourselves from 10,000 years of bad behavior. And, it's not easy. -- Terence McKenna, "This World...and Its Double"
McKenna was a colleague and close friend of chaos mathematician Ralph Abraham, and author and biologist Rupert Sheldrake. He conducted several public and many private debates with them from 1982 until his death. These debates were known as trialogues and some of the discussions were later published in the books: Trialogues at the Edge of the West and The Evolutionary Mind. McKenna was a longtime sufferer of migraines, but on 22 May 1999 he began to have unusually extreme and painful headaches. He then collapsed due to a brain seizure. McKenna was diagnosed with glioblastoma multiforme, a highly aggressive form of brain cancer. For the next several months he underwent various treatments, including experimental gamma knife radiation treatment. According to Wired magazine, McKenna was worried that his tumor may have been caused by his psychedelic drug use, or his 35 years of daily cannabis smoking; however, his doctors assured him there was no causal relation. On February 7, 2007, McKenna's library of over 3000 rare books and personal notes was destroyed in a fire at the Esalen Institute in Big Sur, California. An index of McKenna's library was made by his brother Dennis. His daughter, the artist and photographer Klea McKenna, subsequently preserved his insect collection, turning it into a gallery installation, and then publishing it in book form as The Butterfly Hunter, featuring her selected photos of 122 insects—119 butterflies/moths and three beetles or beetle-like insects—from a set of over 2000 he collected between 1969 and 1972, as well as maps showing his collecting routes through the rainforests of Southeast Asia and South America. McKenna had intensively studied lepidoptera and entomology in the 1960s, and as part of his studies hunted for butterflies primarily in Colombia and Indonesia. McKenna's insect collection was consistent with his interest in Victorian-era explorers and naturalists, and his worldview based on close observation of nature. In the 1970s, when he was still collecting, he became quite squeamish and guilt-ridden about the necessity of killing butterflies in order to collect and classify them, and that's what led him to stop his entomological studies, according to his daughter. 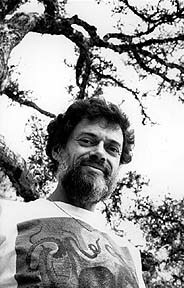 Terence McKenna advocated the exploration of altered states of mind via the ingestion of naturally occurring psychedelic substances; for example, and in particular, as facilitated by the ingestion of high doses of psychedelic mushrooms, ayahuasca, and DMT, which he believed was the apotheosis of the psychedelic experience. He was less enthralled with synthetic drugs, stating, "I think drugs should come from the natural world and be use-tested by shamanically orientated cultures...one cannot predict the long-term effects of a drug produced in a laboratory." McKenna always stressed the responsible use of psychedelic plants, saying, "Experimenters should be very careful. One must build up to the experience. These are bizarre dimensions of extraordinary power and beauty. There is no set rule to avoid being overwhelmed, but move carefully, reflect a great deal, and always try to map experiences back onto the history of the race and the philosophical and religious accomplishments of the species. All the compounds are potentially dangerous, and all compounds, at sufficient doses or repeated over time, involve risks. The library is the first place to go when looking into taking a new compound." He also recommended, and often spoke of taking, what he called "heroic doses", which he defined as five grams of dried psilocybin mushrooms, taken alone, on an empty stomach, in silent darkness, and with eyes closed. He believed that when taken this way one could expect a profound visionary experience, believing it is only when "slain" by the power of the mushroom that the message becomes clear. 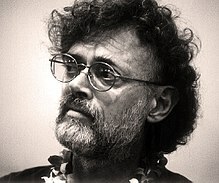 Although McKenna avoided giving his allegiance to any one interpretation (part of his rejection of monotheism), he was open to the idea of psychedelics as being "trans-dimensional travel". He proposed that DMT sent one to a "parallel dimension" and that psychedelics literally enabled an individual to encounter "higher dimensional entities", or what could be ancestors, or spirits of the Earth, saying that if you can trust your own perceptions it appears that you are entering an "ecology of souls". McKenna also put forward the idea that psychedelics were "doorways into the Gaian mind", suggesting that "the planet has a kind of intelligence, it can actually open a channel of communication with an individual human being" and that the psychedelic plants were the facilitators of this communication. In a more radical version of biophysicist Francis Crick's hypothesis of directed panspermia, McKenna speculated on the idea that psilocybin mushrooms may be a species of high intelligence, which may have arrived on this planet as spores migrating through space and which are attempting to establish a symbiotic relationship with human beings. He postulated that "intelligence, not life, but intelligence may have come here [to Earth] in this spore-bearing life form". He said, "I think that theory will probably be vindicated. I think in a hundred years if people do biology they will think it quite silly that people once thought that spores could not be blown from one star system to another by cosmic radiation pressure," and also believed that "few people are in a position to judge its extraterrestrial potential, because few people in the orthodox sciences have ever experienced the full spectrum of psychedelic effects that are unleashed." What I think happened is that in the world of prehistory all religion was experiential, and it was based on the pursuit of ecstasy through plants. And at some time, very early, a group interposed itself between people and direct experience of the 'Other.' This created hierarchies, priesthoods, theological systems, castes, ritual, taboos. Shamanism, on the other hand, is an experiential science that deals with an area where we know nothing. It is important to remember that our epistemological tools have developed very unevenly in the West. We know a tremendous amount about what is going on in the heart of the atom, but we know absolutely nothing about the nature of the mind. McKenna spoke of hallucinations while on DMT in which he claims to have met intelligent entities he described as, "self-transforming machine elves". McKenna's hypothesis was that low doses of psilocybin improve visual acuity, particularly edge detection, meaning that the presence of psilocybin in the diet of early pack hunting primates caused the individuals who were consuming psilocybin mushrooms to be better hunters than those who were not, resulting in an increased food supply and in turn a higher rate of reproductive success. Then at slightly higher doses, he contended, the mushroom acts to sexually arouse, leading to a higher level of attention, more energy in the organism, and potential erection in the males, rendering it even more evolutionarily beneficial, as it would result in more offspring. At even higher doses, McKenna proposed that the mushroom would have acted to "dissolve boundaries," promoting community bonding and group sexual activities. Consequently, there would be a mixing of genes, greater genetic diversity, and a communal sense of responsibility for the group offspring. At these higher doses, McKenna also argued that psilocybin would be triggering activity in the "language-forming region of the brain", manifesting as music and visions, thus catalyzing the emergence of language in early hominids by expanding "their arboreally evolved repertoire of troop signals." He also pointed out that psilocybin would dissolve the ego and "religious concerns would be at the forefront of the tribe's consciousness, simply because of the power and strangeness of the experience itself." McKenna's hypothesis concerning the influence of psylocibin mushrooms on human evolution, is known as "the 'stoned ape' theory." His notion was that Western society has become "sick" and is undergoing a "healing process", in the same way that the human body begins to produce antibodies when it feels itself to be sick, humanity as a collective whole (in the Jungian sense) was creating "strategies for overcoming the condition of dis-ease" and trying to cure itself, by what he termed as "a reversion to archaic values." McKenna pointed to phenomena including surrealism, abstract expressionism, body piercing and tattooing, psychedelic drug use, sexual permissiveness, jazz, experimental dance, rave culture, rock and roll and catastrophe theory, amongst others, as his evidence that this process was underway. This idea is linked to McKenna's "stoned ape" theory of human evolution, with him viewing the "archaic revival" as an impulse to return to the symbiotic and blissful relationship he believed humanity once had with the psilocybin mushroom. Novelty theory is a pseudoscientific idea that purports to predict the ebb and flow of novelty in the universe as an inherent quality of time, proposing that time is not a constant but has various qualities tending toward either "habit" or "novelty". Habit, in this context, can be thought of as entropic, repetitious, or conservative; and novelty as creative, disjunctive, or progressive phenomena. McKenna's idea was that the universe is an engine designed for the production and conservation of novelty and that as novelty increases, so does complexity. With each level of complexity achieved becoming the platform for a further ascent into complexity. In Asian Taoist philosophy the concept of opposing phenomena is represented by the yin and yang. Both are always present in everything, yet the amount of influence of each varies over time. 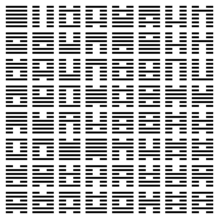 The individual lines of the I Ching are made up of both Yin (broken lines) and Yang (solid lines). When examining the King Wen sequence of the 64 hexagrams, McKenna noticed a pattern. He analysed the "degree of difference" between the hexagrams in each successive pair and claimed he found a statistical anomaly, which he believed suggested that the King Wen sequence was intentionally constructed, with the sequence of hexagrams ordered in a highly structured and artificial way, and that this pattern codified the nature of time's flow in the world. With the degrees of difference as numerical values, McKenna worked out a mathematical wave form based on the 384 lines of change that make up the 64 hexagrams. He was able to graph the data and this became the Novelty Time Wave. The British mathematician Matthew Watkins of Exeter University conducted a mathematical analysis of the Time Wave, and claimed there were various mathematical flaws in its construction. "I suffered hallucinatory agonies of my own while reading his shrilly ecstatic prose," Peter Conrad wrote in The New York Times in a 1993 review of Mr. McKenna's book True Hallucinations. Biologist Richard Evans Schultes, of Harvard University, wrote in American Scientist in a 1993 review of McKenna's book Food of the Gods, that it was; "a masterpiece of research and writing" and that it "should be read by every specialist working in the multifarious fields involved with the use of psychoactive drugs." Concluding that "It is, without question, destined to play a major role in our future considerations of the role of the ancient use of psychoactive drugs, the historical shaping of our modern concerns about drugs and perhaps about man's desire for escape from reality with drugs." "To write him off as a crazy hippie is a rather lazy approach to a man not only full of fascinating ideas but also blessed with a sense of humor and self-parody," Tom Hodgkinson wrote in The New Statesman and Society in 1994. Mark Jacobson said of True Hallucinations, in a 1992 issue of Esquire Magazine that, "it would be hard to find a drug narrative more compellingly perched on a baroquely romantic limb than this passionate Tom-and-Huck-ride-great-mother-river-saga of brotherly bonding," adding "put simply, Terence is a hoot!" Synesthesia. Illustrated by Ely, Timothy C. New York: Granary Books. 1992. OCLC 30473682. True Hallucinations: Being an Account of the Author's Extraordinary Adventures in the Devil's Paradise. San Francisco: Harper San Francisco. 1993. ISBN 9780062505453. ^ Znamenski, Andrei A. (2007). The Beauty of the Primitive: Shamanism and Western Imagination. Oxford University Press. p. 138. ISBN 9780198038498. ^ Horgan, John (2004). Rational Mysticism: Spirituality Meets Science in the Search for Enlightenment. Houghton Mifflin Harcourt. p. 177. ISBN 9780547347806. ^ a b c d e f g h i j k l m n o p q r s t u v w x Brown, David Jay; Novick, Rebecca McClen, eds. (1993). "Mushrooms, Elves And Magic". Mavericks of the Mind: Conversations for the New Millennium. Freedom, CA: Crossing Press. pp. 9–24. ISBN 9780895946010. ^ a b Partridge, Christopher (2006). "Ch. 3: Cleansing the Doors of Perception: The Contemporary Sacralization of Psychedelics". Reenchantment of West. Alternative Spiritualities, Sacralization, Popular Culture, and Occulture. 2. Continuum. p. 113. ISBN 9780567552716. ^ a b c d e f g h i j k l m n o p q r s t u v w x Jenkins, John Major (2009). "Early 2012 Books McKenna and Waters". The 2012 Story: The Myths, Fallacies, and Truth Behind the Most Intriguing Date in History. Penguin. ISBN 9781101148822. ^ a b c d e f g h i j k l m n o p q r s t Jacobson, Mark (June 1992). "Terence McKenna the brave prophet of The next psychedelic revolution, or is his cosmic egg just a little bit cracked?". Esquire. pp. 107–38. ESQ199206. ^ a b c d e f g h i j k l m n Dery, Mark (2001) . "Terence McKenna: The inner elf". 21•C Magazine. Retrieved 2014-02-07. ^ a b c d e f g h i j k l m n Horgan, John. "Was psychedelic guru Terence McKenna goofing about 2012 prophecy?" (blog). Scientific American. Retrieved 2014-02-05. ^ Krupp, E.C. (November 2009). "The great 2012 scare" (PDF). Sky & Telescope. pp. 22–6 (25). Archived from the original (PDF) on April 18, 2016. ^ a b c Bruce, Alexandra (2009). 2012: Science Or Superstition (The Definitive Guide to the Doomsday Phenomenon). Disinformation Movie & Book Guides. Red Wheel Weiser. p. 261. ISBN 9781934708514. ^ a b c d e Normark, Johan (June 16, 2009). "2012: Prophet of nonsense #8: Terence McKenna – Novelty theory and timewave zero". Archaeological Haecceities (blog). ^ a b c d e f g h i j k l m Pinchbeck, Daniel (2003). Breaking Open the Head: A Psychedelic Journey into the Heart of Contemporary Shamanism. Broadway Books. pp. 231–8. ISBN 0767907434. ^ Dennis McKenna (2012). The Brotherhood of the Screaming Abyss: My Life with Terence McKenna (ebook) (1st ed.). Polaris Publications. p. 71. ISBN 978-0-87839-637-5. ^ McKenna, Dennis 2012, pp. 115. ^ a b c d e Lin, Tao (13 August 2014). "Psilocybin, the Mushroom, and Terence McKenna". Vice. Retrieved 12 July 2018. ^ a b c d e f g h i j k l m n o p Martin, Douglas (September 10, 2013). "Terence McKenna, 53, dies; Patron of psychedelic drugs". The New York Times. Retrieved 2012-09-12. ^ a b c McKenna 1992a, pp. 204–17. ^ a b c McKenna 1993, p. 215. ^ a b McKenna 1993, pp. 55–58. ^ a b McKenna 1993, pp. 22–3. ^ a b c d e f g "Terence McKenna; Promoter of psychedelic drug use". Los Angeles Times. April 7, 2000. p. B6. ^ a b "Terence McKenna". Omni. 15 (7). 1993. pp. 69–70. ^ a b c McKenna 1993, pp. 1–13. ^ McKenna 1993, p. 23. ^ a b c d e f g h i j k l m n o p q r s t u v Letcher, Andy (2007). "14.The Elf-Clowns of Hyperspace". Shroom: A Cultural History of the Magic Mushroom. Harper Perennial. pp. 253–74. ISBN 0060828293. ^ a b c d e f g h i j k l Davis, Erik (May 2000). "Terence McKenna's last trip". Wired (8.05). Retrieved 2013-09-10. ^ a b Gyus. "The End of the River: A critical view of Linear Apocalyptic Thought, and how Linearity makes a sneak appearance in Timewave Theory's fractal view of Time…". dreamflesh. The Unlimited Dream Company. Retrieved 19 July 2015. ^ McKenna 1993, p. 194. ^ McKenna 1993, p. 3. ^ a b McKenna 1993, pp. 205–7. ^ a b c Hancock, Graham (2006) . Supernatural: Meetings with the Ancient Teachers of Mankind. London: Arrow. pp. 556–7. ISBN 9780099474159. ^ a b Letcher 2007, p. 278. ^ Ott J. (1993). Pharmacotheon: Entheogenic Drugs, their Plant Sources and History. Kennewick, Washington: Natural Products Company. p. 290. ISBN 978-0-9614234-3-8. ; see San Antonio JP. (1971). "A laboratory method to obtain fruit from cased grain spawn of the cultivated mushroom, Agaricus bisporus". Mycologia. 63 (1): 16–21. doi:10.2307/3757680. JSTOR 3757680. PMID 5102274. ^ McKenna & McKenna 1976, Preface (revised ed.). ^ Wojtowicz, Slawek (2008). "Ch. 6: Magic Mushrooms". In Strassman, Rick; Wojtowicz, Slawek; Luna, Luis Eduardo; et al. Inner Paths To Outer Space: Journeys to Alien Worlds Through Psychedelics and Other Spiritual Technologies. Rochester, VT: Inner Traditions. p. 149. ISBN 9781594772245. ^ a b c Toop, David (February 18, 1993). "Sounds like a radical vision; The Shamen and Terence McKenna". Rock Music. The Times. ^ Sharkey, Alix (April 15, 2000). "Terence McKenna". The Independent (Obituary). p. 7. ^ McKenna, Terence (1994). "181-McKennaErosEschatonQA". In Hagerty, Lorenzo. Psychedelia: Psychedelic Salon ALL Episodes (MP3) (lecture). Event occurs at 32:00. Retrieved 2014-04-11. ^ McKenna, Terence (September 11, 1993). This World...and Its Double (DVD). Mill Valley, California: Sound Photosynthesis. Event occurs at 1:30:45. ^ Leary, Timothy (1992). "Unfolding the Stone 1". In Damer, Bruce. Psychedelia: Raw Archives of Terence McKenna Talks (MP3) (Introduction to lecture by Terence McKenna). Event occurs at 2:08. ^ Hicks, Bill (1997) [November 1992 – December 1993]. "Pt. 1: Ch. 2: Gifts of Forgiveness". Rant in E-Minor (CD and MP3)|format= requires |url= (help). Rykodisc. Event occurs at 0:58. OCLC 38306915. ^ a b c d e f g h i j k Gyrus (2009). "Appendix II: The Stoned Ape Hypothesis". War and the Noble Savage: A Critical Inquiry Into Recent Accounts of Violence Amongst Uncivilized Peoples. London: Dreamflesh. pp. 63–6. ISBN 0955419611. ^ Hayes, Charles (2000). Tripping: An Anthology of True-Life Psychedelic Adventures. Penguin. p. 1201. ISBN 9781101157190. ^ a b Abraham, McKenna & Sheldrake 1998, Preface. ^ Abraham, McKenna & Sheldrake 1992, p. 11. ^ Rice, Paddy Rose (ed.). "The Sheldrake – McKenna – Abraham Trialogues". sheldrake.org. Archived from the original on November 28, 2013. ^ a b "Botanical Dimensions People". botanicaldimensions.org. ^ a b "Botanical Dimensions Plants and People". botanicaldimensions.org. ^ Nollman, Jim (1994). Why We Garden: Cultivating a Sense of Place. Henry Holt & Co. p. 181. ISBN 9780805027198. ^ Davis, Erik (January 13, 2005). "Terence McKenna Vs. the Black Hole". techgnosis.com (Excerpts from the CD, Terence McKenna: The Last Interview). Retrieved 2012-09-12. ^ Frauenfelder, Mark (February 22, 2007). "Terence McKenna's library destroyed in fire". Boing Boing (group blog). Retrieved 2012-09-12. ^ Davis, Erik. "Terence McKenna's Ex-Library". Internet Archive. Archived from the original on 4 October 2012. Retrieved 19 February 2018. ^ a b Stamets, Paul (1996). "5. Good Tips For Great Trips". Psilocybin Mushrooms of the World: An Identification Guide. Berkeley, CA: Ten Speed Press. p. 36. ISBN 9780898158397. ^ McKenna 1992a, p. 43. ^ Wadsworth, Jennifer. "Federal Approval Brings MDMA From Club to Clinic". Metro Active. Metro Silicon Valley. Retrieved 17 May 2016. ^ Pinchbeck 2003, p. 193. ^ Pinchbeck 2003, p. 247. ^ Trip, Gabriel (May 2, 1993). "Tripping, but not falling". New York Times. p. A6. ^ Shamen (1992). "Track 10: RE: Evolution". Boss Drum (CD and MP3)|format= requires |url= (help). Epic. Event occurs at 4:50. OCLC 27056837. ^ McKenna, Terence. "The Gaian mind". deoxy.org (cut-up from the works of Terence McKenna). Archived from the original on 1999-02-03. ^ Pinchbeck 2003, p. 234. ^ Rabey, Steve (August 13, 1994). "Instant karma: Psychedelic drug use on the rise as a quick route to spirituality". Colorado Springs Gazette – Telegraph. p. E1. ^ McKenna 1992a, p. 242. ^ McKenna, Terence (1992). "Unfolding the Stone 1". In Damer, Bruce. Psychedelia: Raw Archives of Terence McKenna Talks (MP3) (lecture). Event occurs at 17:30. ^ McKenna, Terence (1990–1999). "SurfingFinnegansWake". In Damer, Bruce. Psychedelia: Raw Archives of Terence McKenna Talks (MP3) (lecture). Event occurs at 0:45. ^ McKenna, Terence (1999). Psychedelics in The Age of Intelligent Machines (Video) (lecture). ^ Rick Strassman, M.D. (2001). DMT: The Spirit Molecule: A Doctor's Revolutionary Research into the Biology of Near-Death and Mystical Experiences. Inner Traditions Bear and Company; Later Printing edition. p. 187. ISBN 0892819278. ^ Pinchbeck 2003, p. 213. ^ a b Mulvihill, Tom. "Eight things you didn't know about magic mushrooms". The Telegraph. Telegraph Media Group Limited. Retrieved 14 June 2015. ^ a b McKenna 1992b, pp. 56–60. ^ McKenna 1992b, p. 54. ^ Fischer, Roland; Hill, Richard; Thatcher, Karen; Scheib, James (1970). "Psilocybin-Induced contraction of nearby visual space". Agents and Actions. 1 (4): 190–7. doi:10.1007/BF01965761. PMID 5520365. ^ McKenna 1992b, p. 57. ^ a b c d Znamenski 2007, pp. 138-9. ^ a b McKenna 1992b, p. 59. ^ Pinchbeck 2003, p. 194. ^ Akers, Brian P. "Concerning Terence McKenna's "Stoned Apes"". Reality Sandwich. Retrieved 12 August 2015. ^ Hayes, Charles (2000). "Introduction: The Psychedelic [in] Society: A Brief Cultural History of Tripping". Tripping: An Anthology of True-Life Psychedelic Adventures. Penguin. p. 14. ISBN 9781101157190. ^ McKenna, Terence (1994). "181-McKennaErosEschatonQA". In Hagerty, Lorenzo. Psychedelia: Psychedelic Salon ALL Episodes (MP3) (lecture). Event occurs at 49:10. Retrieved 2014-04-11. ^ McKenna, Terence. "The Importance of Human Beings (a.k.a Eros and the Eschaton)". matrixmasters.net. ^ Spacetime Continuum; McKenna, Terence; Kent, Stephen (2003) . "Archaic Revival". Alien Dreamtime. Visuals by Rose-X Media House. Magic Carpet Media: Astralwerks. Event occurs at 3:08. OCLC 80061092. Archived from the original (DVD, CD and MP3) on 1997-07-06. Retrieved 2014-02-01. ^ McKenna 1992a, pp. 104–13. ^ a b Abraham, Ralph; McKenna, Terence (June 1983). "Dynamics of Hyperspace". ralph-abraham.org. Santa Cruz, CA. Retrieved 2009-10-14. ^ a b Defesche, Sacha (June 17, 2008) [January–August 2007]. "'The 2012 Phenomenon': A historical and typological approach to a modern apocalyptic mythology" (MA Thesis, Mysticism and Western Esotericism, University of Amsterdam). Skepsis. Retrieved 2011-04-29. ^ McKenna 1992a, p. 101. ^ Schultes, Richard Evans (1993). "Food of the Gods: The Search for the Original Tree of Knowledge by Terence McKenna". Life Sciences. American Scientist (Book review). 81 (5). pp. 489–90. JSTOR 29775027. ^ Matthews, Peter (2005). "Who's Who in the Classic Maya World". Foundation for the Advancement of Mesoamerican Studies. Retrieved 2011-04-13. ^ Van Stone, Mark. "Questions and comments". famsi.org. Foundation for the Advancement of Mesoamerican Studies. Retrieved 2010-09-06. ^ Coe, Michael D. (1980). The Maya. Ancient Peoples and Places. 10 (2nd ed.). London: Thames and Hudson. p. 151. ^ Coe, Michael D. (1984). The Maya. Ancient Peoples and Places (3rd ed.). London: Thames and Hudson. ^ Morley, Sylvanus (1983). The Ancient Maya (4th ed.). Palo Alto, CA: Stanford University Press. p. 603, Table B2.